Their elegance and sound inspired many masters of the guitar such as B.B. King, Joe Pass, Pat Metheny and Chet Atkins, and their peculiar F-holes made them an irresistible icon for musicians of every era. Arch-top guitars will be the protagonists of one of the historical exhibitions hosted by the Acoustic Guitar Village at Cremona Musica 2018, during the Fair, between 28 and 30 September. The exhibition, curated by the luthier M° Leonardo Petrucci, recalls the history of these instruments, explaining the construction methods that make them so unique, such as the use of carved soundboard and back, calibrated and not bent, inspired by the great tradition of string instruments. Visitors will enjoy the first American models by Gibson, Orpheum and Harmony, rare and precious productions by the Italian-American luthier M° John D’Angelico, a signed Gretsch Country Gentleman that belonged to the great American guitarist Chet Atkins, European guitars by Levin, Hofner, Framus and Hopf, and also Italian productions, both vintage and modern. 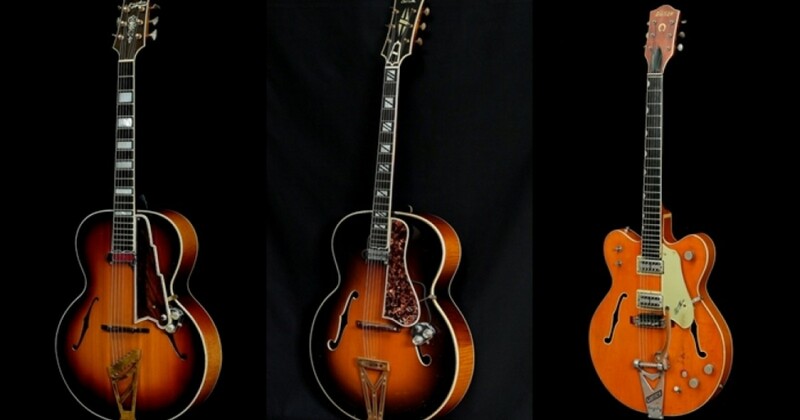 Every kind of Arch-top guitar will be exhibited, full and semi-hollowbody, thinline in solid wood or laminate. With the aid of information panels, charts and photos visitors will be able to understand the fundamental features of these fascinating instruments, and discover how they evolved from 1992 to today, transforming and perfectly adapting themselves to different styles and genres. An exhibition that no guitar enthusiast should miss, just like all the other events organized by the Acoustic Guitar Village at Cremona Musica 2018.